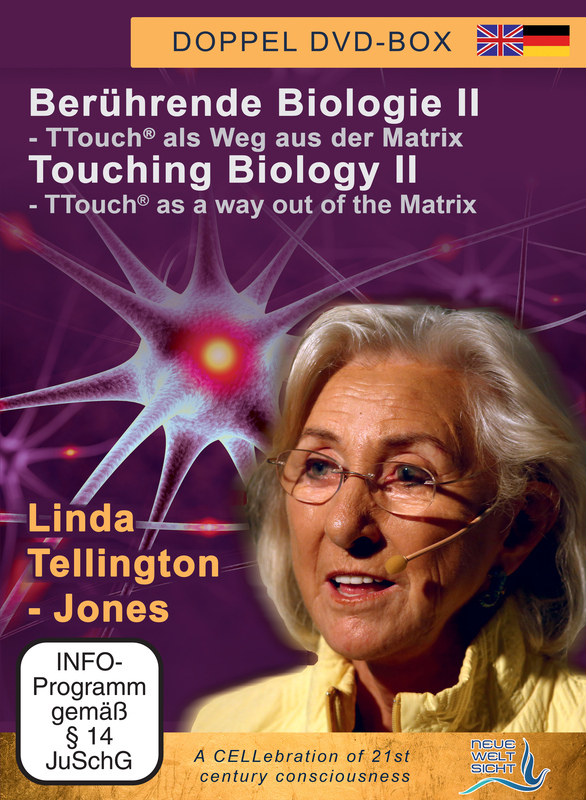 In the 2nd part of the Vienna CELLebration-Event, Linda Tellington-Jones, PhD, presents her method of „Tellington TTouch®“. In her workshop the world-renowned body and behavior therapist demonstrates how to release numerous discomforts, fear, pain or stress using her circular "TTouches". In contrast to massage therapies, the intention of the TTouch method is to communicate with the cells in order to enhance cell function and increase the healing potential of the body. Relaxation and a sense of well-being is a positive side effect. With her method she has reached major achievements with animals and humans.The theory of Bruce Liptons’ innovative, scientific lecture finds implementation in everyday practice in this practice-lecture. In addition there are 20 min. of Q & A with Linda Tellington-Jones and Bruce Lipton in the bonus material.